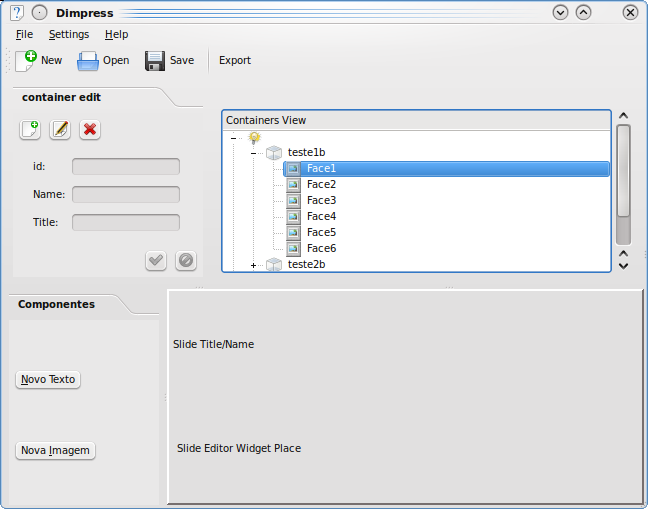 Since I just introduced myself, without telling a thing about the project that I’m conducting here, I’m gonna talk about Dimpress 3D, it’s a small piece of software which will allow anyone to create profissional good looking 3D presentations without the need to know how exactly do these things work. It is being developed as a final project in the computer science course. The developers are Diogo Outerelo, Igor Schkrab and me. 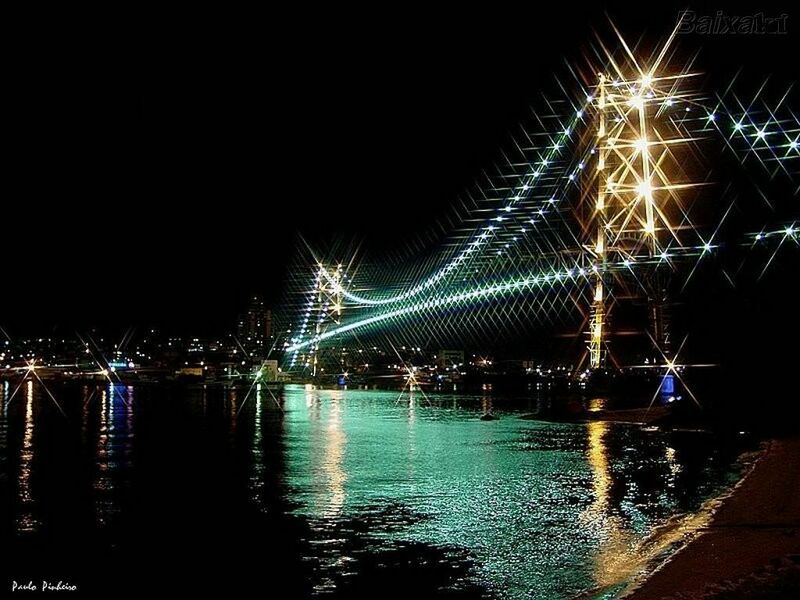 The idea for this project was given by our mentor Sandro Andrade. The Dimpress 3D consists in a tool for building presentations, almost like the ones created by softwares like PowerPoint or OpenOffice Impress, the main difference here is the final result, our software will generate animated, multi-directional and visual attractive content. To catch these goals, there will be used visual resources like 3D techniques, Physics Simulation and whatever the free software community can think, ’cause we are talking about a tool that will be free software and plugin-based, which means that, anyone sufficiently interested can improve its funciontalities by writing plugins. 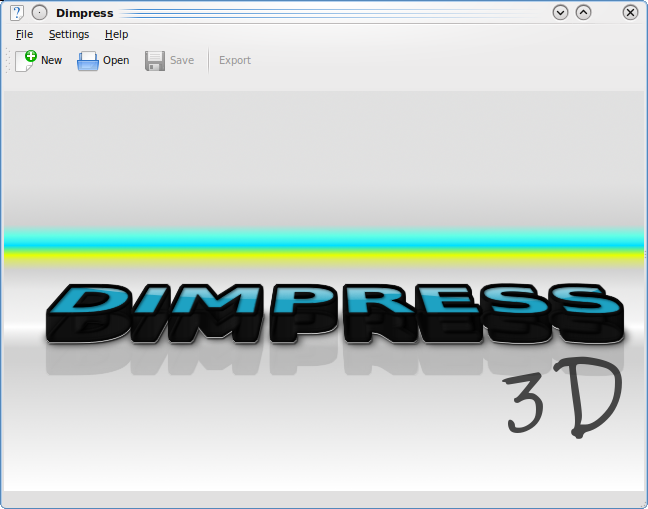 The Dimpress 3D is a Work In Progress, and, the basics of the application is already done. By now, we are developing the plugin architecture, doing UI improvements and building up the ‘Sliding Panels’ showing paradigm, which will be the basic model of the presentations done with Dimpress 3D. Every showing paradigm specifies how the presentation must appear, the scenario, the font style, the colors, the transitions. The ‘Sliding Panels’ consists in Panels in a three-dimensional environment which slides lightly from one, to another, backward and forward. My name is Vinícius Azevedo, I’m a member of LiveBlue (brazilian KDE group). I’m an undergraduated Computer Science student and my final project is intended to run in KDE and Qt. I’m also a Kubuntu user, CG and web developing researcher and kde-linux-scripting big fan. From now on I’ll post here my progress with the kde projects I get involved with and my kde experience at all. KDE 4.4 is already in the corner, I’m still listening to Michael Jackson, World keep spinning and one day I will tap dance better than Genne Kelly on rollerskates. A really pretty place. That doesn’t mean that I’m no live blue no more, nor that I cant be satisfied, the only problem is that I cant sing the blues no more, since I own a pc, lived in canada and my name is not Tomaz old rotten kiwi faced.